What are your thoughts and emotions after seeing a video like this? Before i post my comments, vote on your initial thoughts and emotions on this video. Videos like this are all over the internet. I’m referring to videos of tithing testmonies about how miracle money arrived in the mail a week or even 1 day after they tithed. I think i feel lots of things after i see videos like this. I guess frustration, anger, and annoyance are a few. FRUSTRATION, because i’ve worked hard to get people to see the truth and yet the opposition that promotes false teachings are still going at it. Frustration also because there’s no logic in their tithing testimony, so how do you convince someone’s emotional experiences have blinded them from the real truth? As far as they know, they couldn’t be any more convinced about what they believe then they do now. ANGER, because an emotional ploy is used to convince others of the promise of tithing rather than using biblical analysis to do the talking. Anger because i see even more testimonies that are exactly opposite of this and yet you don’t hear those testimonies. You don’t hear the testimony of those going in debt; or those being ripped off by a pastor; or those sacrificing everything for their church and yet, leave nothing for their children. Anger, because tithing is a false teaching that fleeces the sheep. Sometimes i wonder if God is angry too? Is it his patience or his grace that stops him from striking down lightning on the wolves in sheep’s clothing? ANNOYANCE, because tithe teachers are like a sore thumb. I’m so tired of hearing their same old, worn out arguments that can’t hold a drop of water. Annoyed because i have to get on here and expose lies and write about the truth more than i should have to. Annoyed, because i’m sick of sounding like a broken record repeating the same arguments to the same people who can’t give answers to why they believe in tithing. God entrusted us to be stewards, not just givers. Remember it was the servant in Matthew 25 who gave 100% of his master’s money back, that was considered wicked and lazy. “Spend your money freely to begin with and at the end see what amount you can give to God which will not upset the bank balance.” – EXCUSE ME! PLEASE DO NOT PUT WORDS IN MY MOUYTH. i thought you were more civil and reasonable to say something like that, but apparently your pre-conceived judgments about anti-tithers spout out accusations that views my God as a second thought in my life. The problem is EnnisP, that you see giving as the foundation of stewardship principles, but when you are a slave to other things in your life, such as debt and materialism, then i would perceive that our 10% stewardship practices are like vomit in our master’s eyes. Last i checked, we commemorate the Lord’s death according to a NT command, not according to animal sacrifices that were given prior to Moses law. $30,000.00 over 20 years works out to be $125 a month. How could you avoid being over budget each month by that amount if you didn’t pay your offering at the end of the month AFTER you have spent freely on other things. I doubt they were living close to the absolute need line if they accumulated $30,000 in debt so it would be a push to suggest that $125 represented anything other than over consumption. In other words, enjoy yourself fully and pay God what ever you have left. That detail is found in your question post. I’m just following your lead. We had 8 children in our family. My parents sent us to a private Christian School. My dad had a blue collar job. That is how you spend so much money. We never had a fancy car. We didn’t have a nice house. I lived in the ghetto. We always had food. We never had any fancy clothes, or nice shoes. But my parents obviously struggled between the battle of providing the necessities to their children and giving 400/month in tithes. My family didn’t have the luxury of paying ourselves fully first. That was never the case. My father always paid God first, and then did what he could for his family. I look back as a parent myself, and do not know how i am here today. I could count with both my hands the number of times my family went out to eat. if i follow your lead, it is ok to serve two masters. On one hand i have debt, on the other i have God. I’m not talking about serving materialism and God. I’m talking about serving debt and God. There are some people who just cannot tithe! If i accumulated a bunch of foolish unsecured debt, and wanted to give to God, i personally would pay my debt first. How can we be happy with wasting God’s money in interest rates just because we gave some money to the Church? How can you think that being wise with God’s money is not a form of paying God? In our previous discussion, you talked about adultery, and stealing. Do you think these are eternal laws just because you see them forbidden before, during, and after the law. Is that the litmus test to determine if a law is eternal? I have a lot of respect for your parents. I hope you haven’t convinced them they were wrong and I think you and your siblings could help out with some of the debt. I’m also curious about the school situation. We sent our kids to a private Christian school also and because we were tithing members we got reduced fees. In fact, what we paid in tithes was less than the amount by which the fees were reduced. That represents a return on the tithe before it is given. We do agree, however, that unnecessary debt is a bad thing and should be avoided wherever possible but we differ on the solution. Tithing is not the only reason people accumulate debt and shouldn’t be the only line of correction. The only absolute way to avoid debt is to not spend the money. 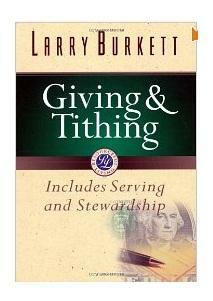 I think you are wrong to recommend people eliminate the tithe first. All truth is eternal and we are able to identify it whenever God gives us enough evidence/information at any point in the Bible to establish it as such. Once done, nough said. Beyond that, a person is only being contrary to require more or suggest something different. We could sit here all day and figure out whether or not my parents could afford 10%. But whether they could or couldn’t afford it is apart from the decision of whether tithing is required or not. So maybe you should leave the emotional tactics and name calling out of the discussion. Don’t remember slandering you with name calling, but the emotional tactics have a purpose. Even though they almost have nothing to do with proving that tithing is or is-not commanded. I’ve seen good arguments for and against tithing, all convincing. One thing I do know, is that God doesn’t need our money. The church may do, but certainly not God. Because the church I attend is fat and inefficient, I prefer instead to give to Godly charities and those who are out there been practical doing Gods work amongst the needy. Jesus didnt warn about neglecting church titing, but He DID warn in Matt25 about neglecting the poor. We are blessed for giving; not for tithing. Getting $1200.00 for tithing is NOT the tithing promise. The tithing promise is ‘no room to receive; it is overflow, overabundance; more than you will ever need.’ That promise was to Israel and it only involved edibles that were specifically given to the poor. Only the tribe of Levi (who had no inheritance), the poor, fatherless could receive the tithe. Jesus never received tithes because he was from the tribe of Judah; Paul, as much as he went without could not receive tithes because he was of the tribe of Benjamin. Jews do not tithe because the records were destroyed along with the temple and they don’t know who is from the tribe of Levi. If Jesus did not receive tithes what makes you think these modern day hirelings, charletons and pimp preachers are entitled to the tithe. The church has become a career path for preachers to build their personal empires off of hurting people. Tithing was a practice of those under Mosaic Law. New Testament Christians should not be tithing; they should be giving based on what they purpose in their heart and their ability. To tithe and not get the promise of ‘no room to receive’ makes the promise null and void and God a liar. The only ones getting overabundance are the lying preachers. God wants from Christians what he could not get out of Israel – a heart like his to love each other. Those who love themselves will continue to exploit their brethren with lies about tithing. The promise was all about the same problem as secular society today. The Haves refusing to share with the Have Nots. The poor did not tithe; only those who had more than they needed. If you only have a little money, you need to pay your bills and give to God by MEDITATION not CALCULATION.